What is Gorindo? | Who are we? We celebrated our 20th anniversary in 2010. Classes are taught by Claudio Iedwab 6th dan, creator and director of the school. 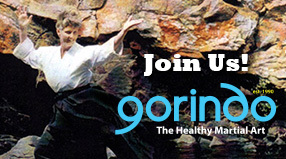 Gorindo is a progressive method of mind-body exercise where you learn something new in every class. Join us in a non-competitive programme for the serious study of true Martial Art, where the classical respect of the Japanese dojo is observed, and where modern holistic knowledge is applied to the practice. 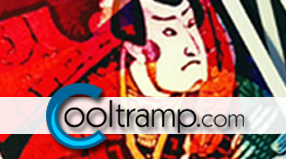 Gorindo puts the 'Art' back in Martial Art. Gorindo is a regular exercise program where you learn something new in every class. 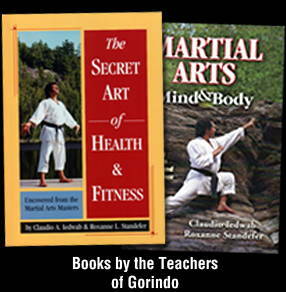 The original sources of Gorindo technique are found in five disciplines: Taekwondo (Moo Duk Kwan), Karate-do (Shotokan), Ju Jutsu, Savate (a French foot-boxing style) and Yoga. The benefits of Gorindo are improved flexibility and posture, expanded aerobic capacity, focus, strength, stress relief, immune system balance and an overall feeling of well-being. You don’t have to be an athlete to begin training with us but you certainly can become one. Gorindo is a non-competitive school for the serious study of true Martial Art, where the classical respect of the Japanese dojo is observed and where modern holistic knowledge of healthy training and injury prevention is practiced. Our purpose is education, exercise and integration of mind, body and spirit in a calm atmosphere of personal achievement and excellence. Gorindo does not in any way resemble what is known these days (erroneously) as Mixed Martial Art (MMA). We do not participate in tournaments. No mysticism, religion, ritual or mumbo jumbo is involved. We do, however, hold a great respect for trees. We encourage a happy, interested and dedicated attitude in our training. We do not tolerate aggression, lack of control or any attitude or behaviour that might interfere with any student learning at their own pace, safely and with enjoyment. The Gorindo dojo is a unique and specialized form of physical training. We offer small class size and a high level of personal attention in an adult atmosphere. Personal training is available. We welcome beginners and those who may have previous Martial Art training. Also mature students. Every Gorindo student starts at the beginning in a general class and proceeds step by step through the learning programme. Progress is measured on an individual basis with a coloured belt system. You can join us at any time with no need to wait for the start of a term. . The Hombu Dojo (headquarters) for Gorindo is directed by the founder of Gorindo, Claudio Iedwab, assisted by Roxanne Standefer. Claudio Iedwab, 7th dan Gorindo, 5th dan Taekwondo (Moo Duk Kwan), 5th dan Ju Jutsu, 3rd dan Karate-do (Shotokan), 1st dan Judo, has enjoyed a 40 year career as a practitioner and teacher of Martial Art. 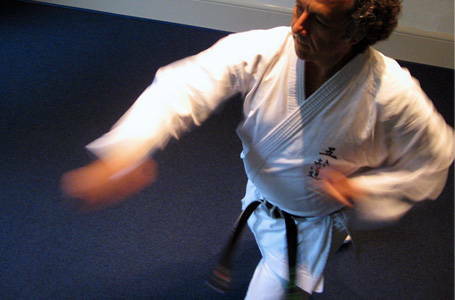 A former tournament competitor (South American Taekwondo Champion in 1982) Claudio established Gorindo as an independent and non-competitive program of martial art training after he came to Canada from Argentina. He is the author of “Pearls of Gorindo - 55 Insights of a Martial Art” (2012) and “Pearls of Gorindo - 112 Insights For Teachers” (2013). Roxanne Standefer 3rd dan Gorindo, has been the senior student of Gorindo since its inception in 1990 and in addition to teaching Gorindo, also has an extensive background as an instructor and consultant in public education, injury prevention, lifesaving, swimming and canoeing. Claudio & Roxanne are also Founding Members of the Circle of Martial Art Educators www.comae.org.